Entrepreneur, podcaster and blogger Jeff Pulver has announced that his latest venture, PrimeTimeRewind.tv, is now live. The site is intended to be a sort of TV Guide for Internet television, with a social media twist. “We would like to put you one-click away from watching your show,” according to Pulver. 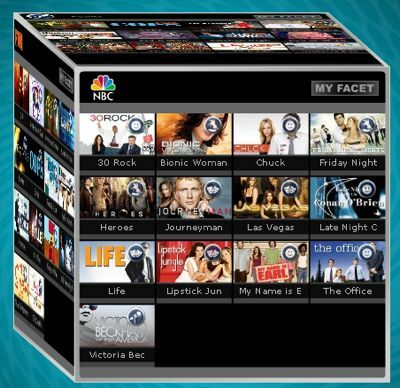 The site presents links to current TV show episodes on the faces of a cube. Maybe that sounds a bit harsh, but a text-based interface would be dramatically easier to use than the site’s current Flash-based one. Pulver’s concept for the site is great, and it sounds like they have great ideas for the future of the site. The site is dead in the water, though, until they address the site’s usability issues. Update: TechCrunch has a more favorable take on the site, calling it a step in the right direction.